The core legal concepts underlying compliance and their impact on business operations encompass corporate governance, cyberlaw and security, financial services regulations, and compliance issues in health care and biotechnology. “Compliance”, a term often invoked but subject to a variety of iterations. To engage in compliance services, lawyers must have a good knowledge of the regulated industry that they serve, an understanding of risk management, and the skills to draft policy statements, provide financial reporting, and advise in the development of projects. 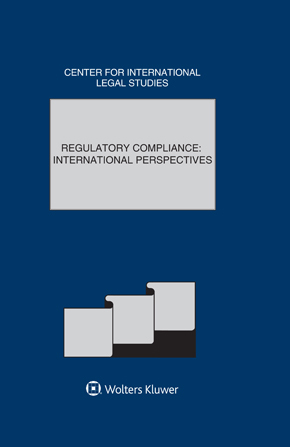 In this edition of the Comparative Law Yearbook of International Business, lawyers from nine jurisdictions examine recent developments in their respective countries pertaining to compliance issues. Chapters are provided by practitioners from Argentina, India, Nigeria, Poland, Portugal, Switzerland, Thailand, the United Kingdom, and the United States. The publication also includes two appendices: General Assembly Resolution 58/4 of 31 October 2003, United Nations Convention against Corruption, and General Assembly Resolution 55/25 of 15 November 2000, United Nations Convention against Transnational Organized Crime.